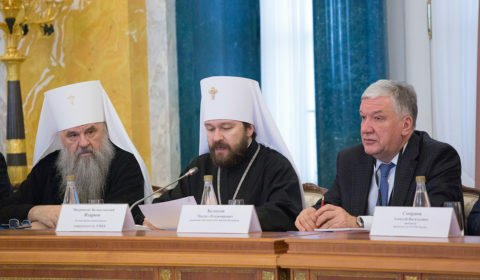 Representatives of the Orthodox, Catholic and Protestant Christian communities from the CIS and Baltic countries took part in the 5th plenary session of the Christian Inter-Confessional Consultative Committee (CICC) at the Constantine Palace in St. Petersburg on 26 April 2017. The message was read out by Metropolitan Hilarion of Volokolamsk, head of the Moscow Patriarchate department for external church relations. The message was read out by Mr. M. Belousov, deputy head of the Presidential Administration for Domestic Policy. 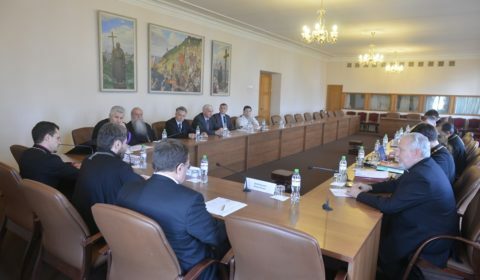 On April 26, 2017, the Christian Inter-confessional Consultative Committee (CICC) has opened its 5th plenary session at the Constantin Palace in St. Petersburg under the theme ‘Faith and the Overcoming of Civil Confrontation: Lessons of the Century’.